More than just a pocket knife, the SOA Scout is a multitalented, pocket-sized jack of all trades. 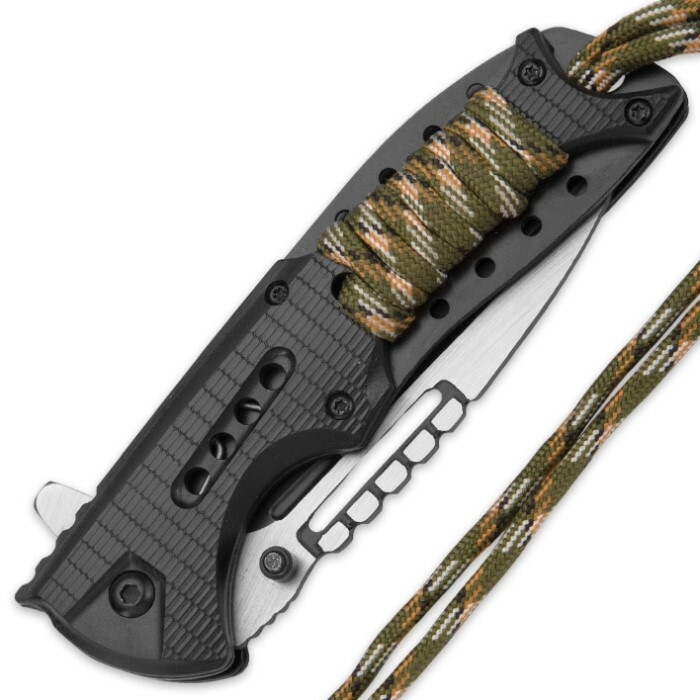 It features a unique handle design that incorporates several feet of paracord wrapping - useful in a pinch for countless back country or tactical jobs. The tough nylon cord also doubles as a handy lanyard. Rugged and razor sharp, the scout's stainless steel drop point blade is carefully honed to a razor sharp edge. It features a chic two-tone finish and a smooth assisted opening mechanism that allows for lightning fast, one-handed deployment in the heat of battle. A sturdy steel liner lock keeps the blade firmly fixed in the open position for added safety and stability while tackling especially rigorous cutting jobs. The durable polymer handle is delicately textured for a superb hand-feel, and the steel pocket clip keeps the Scout securely affixed to your pocket, belt or gear pack for easy transport. 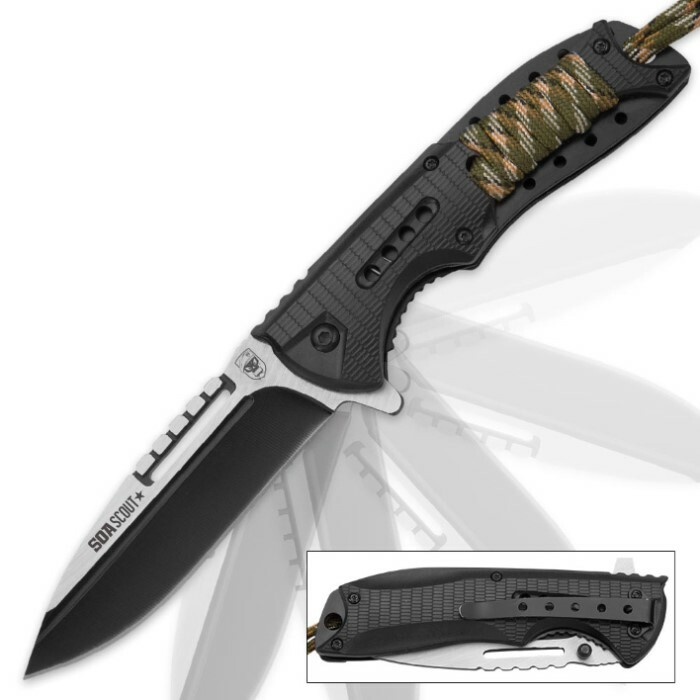 No matter the challenges that lay in your path - harsh environmental conditions, demanding jobs and more - rest assured SOA's rock-solid Scout Assisted Opening Pocket Knife is up to the task! This knife is a bargain. Its sharp and looks cool. For the price it is unbeatable. Very sharp. Bought three for presents. Looks much more expensive.